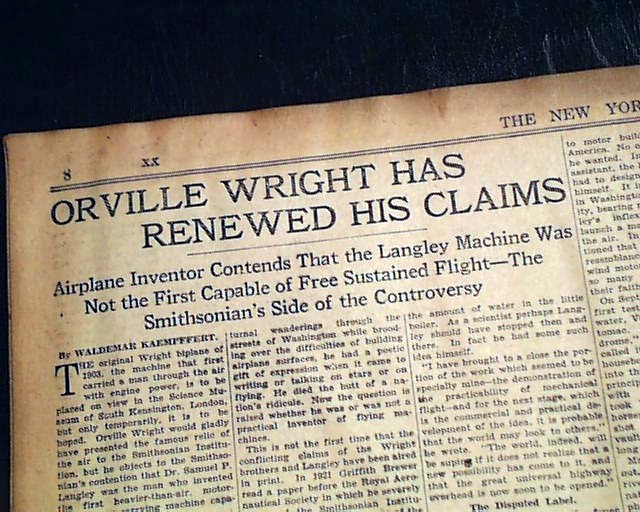 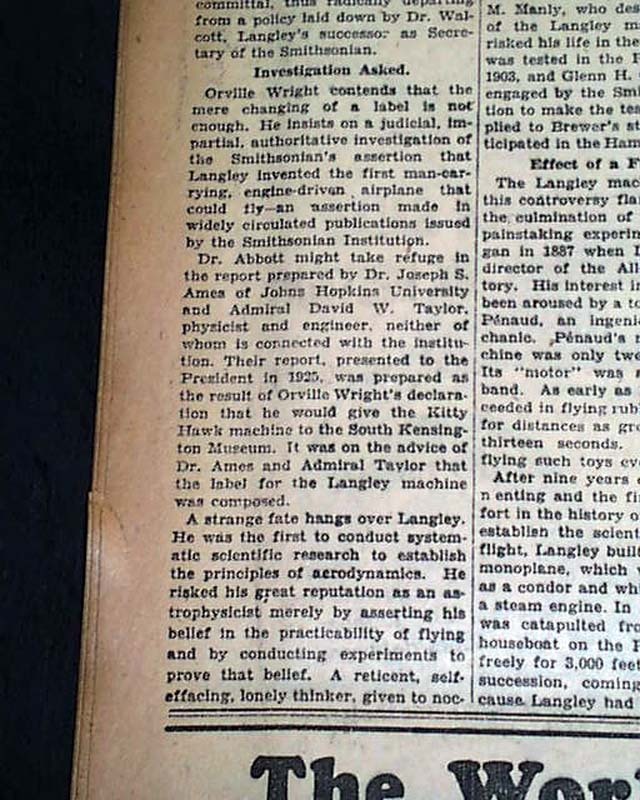 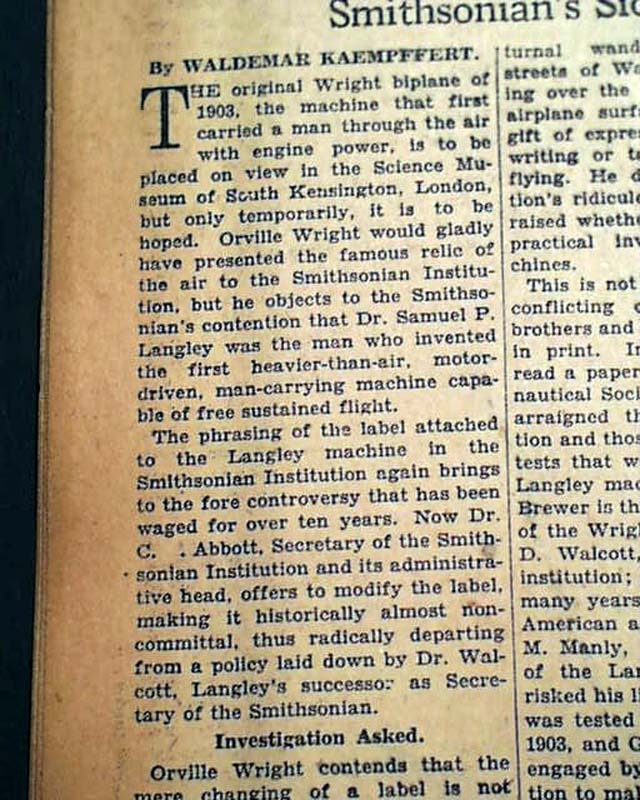 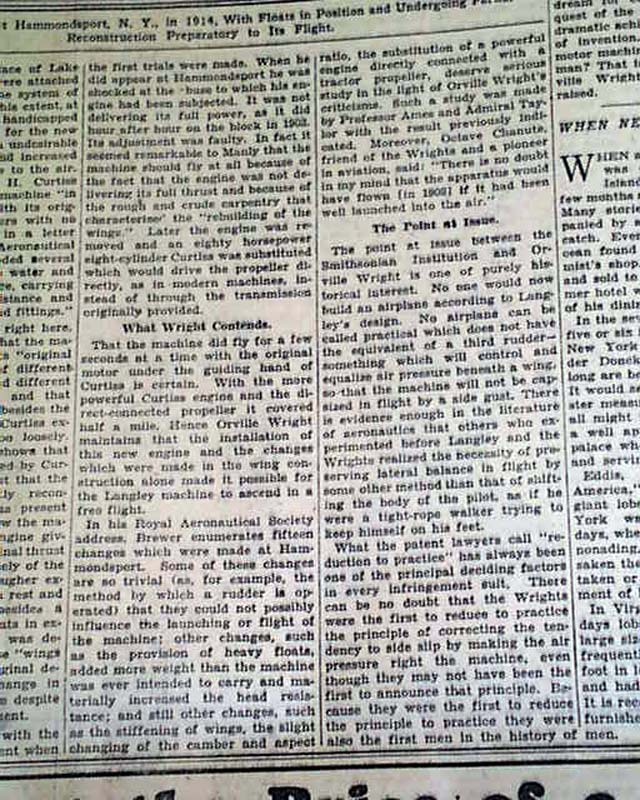 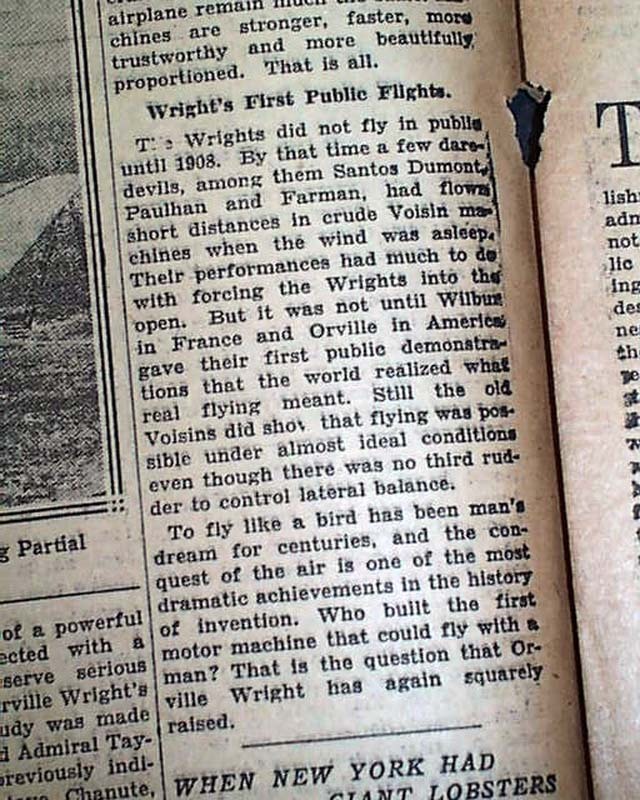 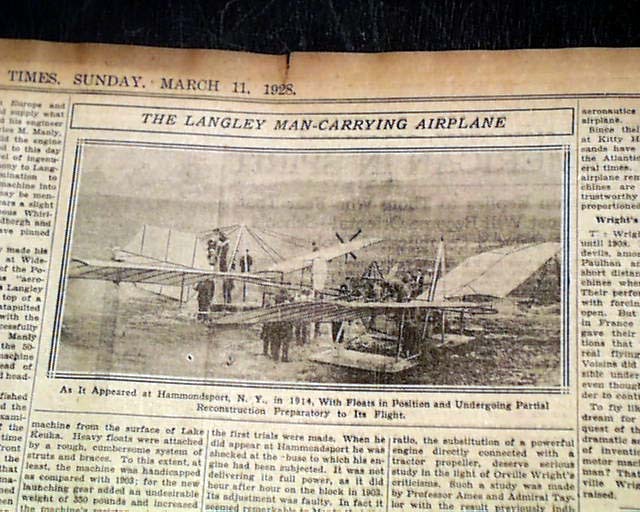 Page 8 of this section has three column headings: "ORVILLE WRIGHT HAS RENEWED HIS CLAIMS", "Airplane Inventor Contends That the Langley Machine Was Not the First Capable of Free Sustained Flight...." with related photo. 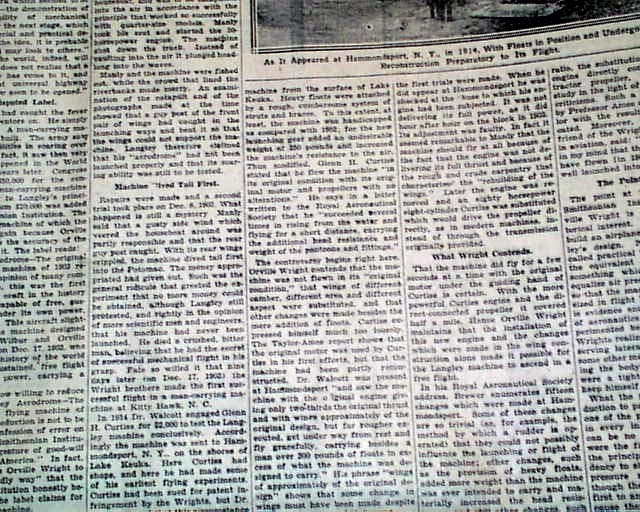 See photos for partial text here. 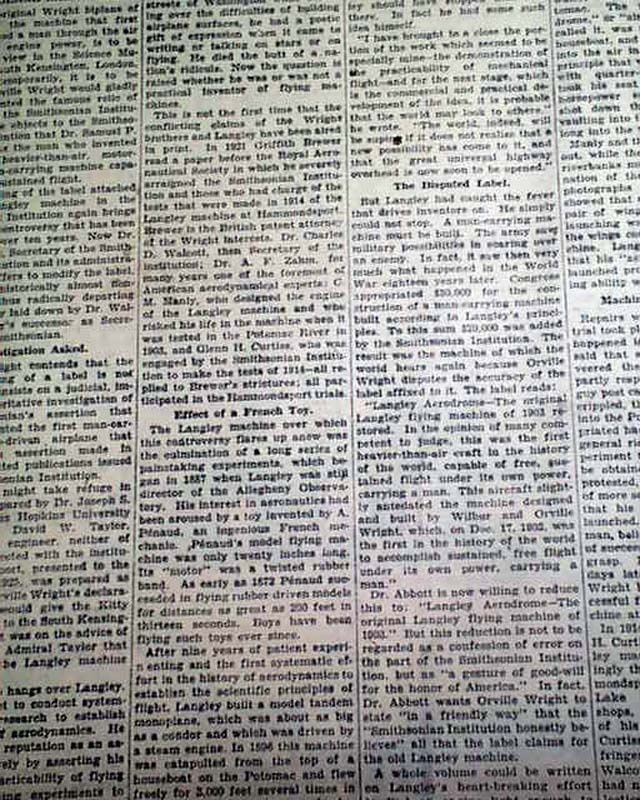 Other topics throughout. 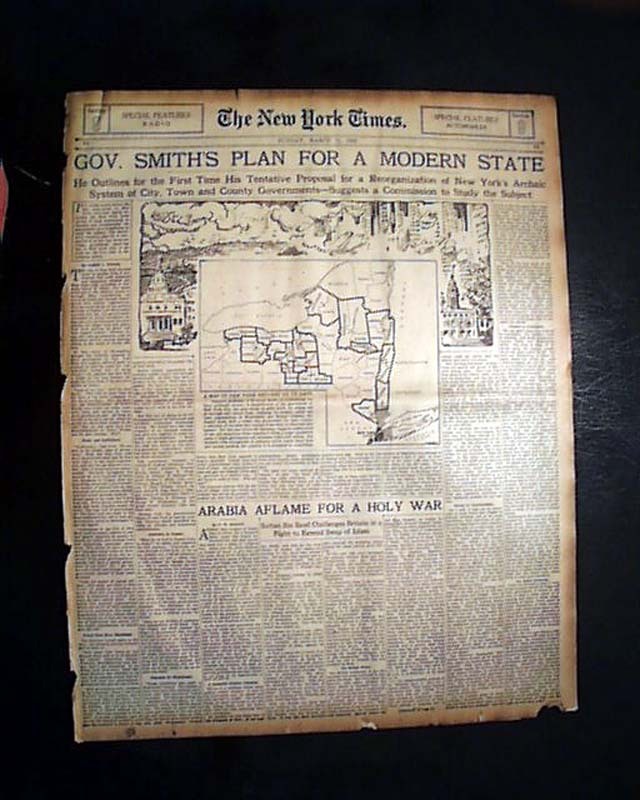 Complete section 9 only with all 22 pages, light toning and some wear at the margins with a few small margin tears, should be handled with care.